So let us jump right into the review shall we. So gave these to my mother in law & she said she's loving them. This is a special top coat that you can apply to any polish & it will turn the matte. In this picture I have applied it over, the Dual Ended Nail Art Expressionist in the colour Silhouette & the Dual Ended Nail Art Expressionist in the colour Vincent Van Gold. This is the second Matte top coat I own & I from what I can tell by using my other one that it's a pretty good. It makes it so it's not so shiny & the colour a different look. perfect if you want to change it up. My apologies for my nails. This is Revlon Treat & Boost. I have only been using it for about a week & I am really enjoying it. My nails are strong by themselves so this just gives it the extra "umph" they need. I also know another blogger who uses this exact product & she had really brittle nails & it's been helping her nails enormously. 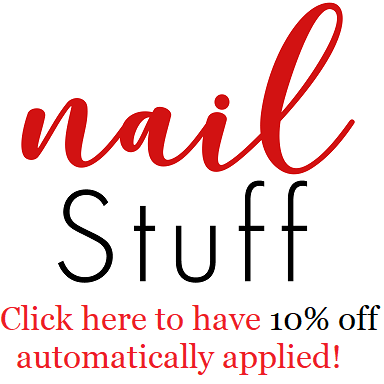 So if you are looking for something to help your nails, you could easily access pretty much where ever Revlon products are sold. Okay, now I gotta give it up to Revlon for this product. I love the smell of this products & how well moisturized it leaves the skin around my nails. I love how easy it is to apply using the brush & how its a gel & no To me I am pretty sure I think the smell is Guava which I am a huge fan of. I love everything Guava. Now sadly for me I feel that the only downfall this product has is the sort of sticky residue feeling it leaves. So this products is Revlon's Nail Brightener, when I first got this I thought it was a Nail Whitener. However it's not. Aha. I painted my nails & completely spaced & forgot to apply a base coat, of course the polish I applied was a staining pretty blue which sucked. However after I took off the polish I applied this & as you can tell from the pictures up above it has super tiny blue shimmers in a white-ish base, which of course only made the stain stand out more. However if you used this & your nails aren't stand blue it is just something nice to have on your nails so they're not completely bare & plain. I really enjoy the concept of these dual ended polishes. I love the combinations they came up with. The white was a breeze to work with & was fully opaque in two coats, because the white took two coats I was hoping that green polish would only take 1 coat however it did take two. I also don't think that this green is very neon. It was a very toned down green. Also the fact that the bottles are attached, when you use one side the rest is a handle which is a bit different then what I am used to which I don't mind, however the polishes themselves are tiny so I'm always worried that I'm gonna knock it over. Ugh I was so excited about these however when I seen them in the store, I knew I would be disappointed. I own quite a few flakie polishes so for me this just doesn't cut it. I love the shade of purple but once again nothing special. I Love what they tried to do however the mylar flakes are to think & coarsely chopped. I don't like that some edges stick up & you can even tell that they don't lay completely flat on the nail. They came out with some awesome combinations when it came to the Moon Candy collection. However if you don't own any other flakies I would suggest this because they are a nice polish topper if you're not too picky when it comes to things like this. This polish is so cute, at first when I seen pictures of it online when it first came out I thought it was a dupe for OPI - metallic for life. & then when I received it, & inspected it closer I seen that this polish has tiny silver glitter, with black & silver medium hexagons in a black jelly base. I enjoy polishes that are in a coloured base only if they colour is build-able so of course I love this polish. The only problem I had with it was some of the glitter would stay on 1 part of the nail so when I applied the second coat it would so of have more glitter in one section so it wasn't very flat & smooth when it dried. I really enjoy that Revlon is trying new things & trying to cater to the nail polish trends & stay on top of them. I can tell what they were trying to accomplish with all the products however some didn't live up to my personal exceptions & some really caught me off guard. The quality of their products are fairly good, some do have their pros & cons so it's really up to you & you're own person preference. So please let me know what you think of my review? Do you own any of Revlon's Nail Art polishes? What do you think of them? Thank you for your review! Great pictures!